This workshop is not currently offered. Arans are the well-loved sweaters from Ireland which are characterized by creamy white yarn, cables, bobbles and other deeply textured patterns. 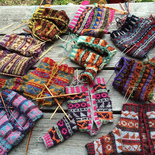 Students will knit a mini-sweater in class to learn to work from a chart while creating different traditional patterns. Emphasis is placed on the saddle shoulder style of construction used for flat-knitted and circularly-knitted Arans. 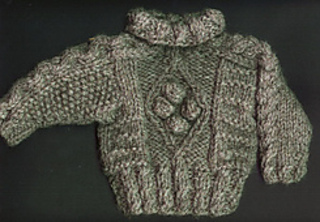 Knitting from the neck down will be discussed briefly, and designing Arans will conclude the class.